Lund on floor = poetry in motion. Miranda Lund on floor = poetry in motion. 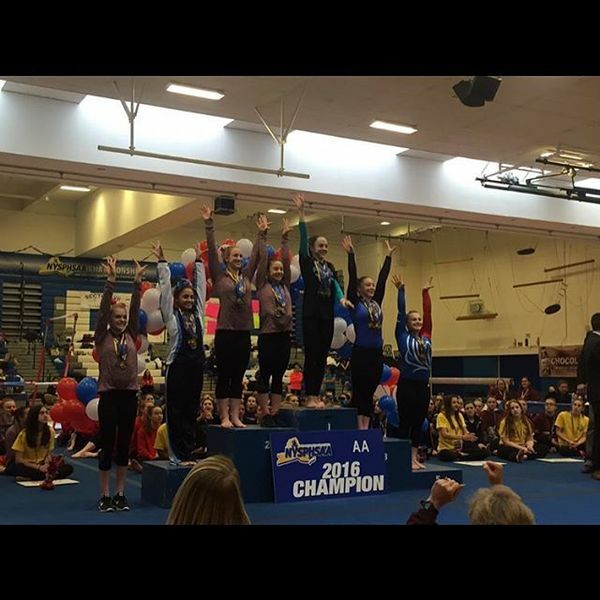 The Plainview JFK sophomore won the all-around at the state championships. 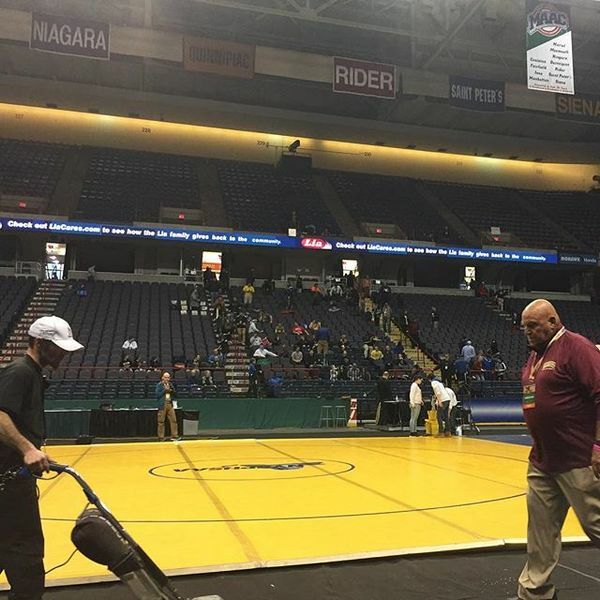 The #NYSPHSAA wresting finals are about to begin! Dylan Ryder of Hills West trails Greg Diakomihalis of Hilton 5-0 after the first round at 99 pounds. Ryder has cut into Diakomihalis' lead and trails 7-3 heading into the third. Dylan Ryder of Hills West falls 7-4 to Greg Diakomihalis of Hilton in the 99 pound state final. Tommy Cox of @DP_wrestling leads Kelan McKenna of New Hartford 1-0 heading into the third. Tommy Cox of @DP_wrestling wins the 113 pound state title 5-3 over Kelan McKenna of New Hartford. Anthony Sparacio of North Babylon wins the 120 pound state title with a 3-1 win over John Devine of Columbia. Jacori Teemer of Long Beach wins 6-3 over John Arceri of Huntington in a battle of LI for the 126 pound state championship. In the first ever meeting between two D-II LI wrestlers in a state final Matteo DeVincenzo beats Hunter Dusold of Locust Valley 2-1 at 126. Matteo DeVincenzo becomes the first Long Island wrestler to win 2 D-II state titles after beating Hunter Dusold of Locust Valley 2-1 at 126. 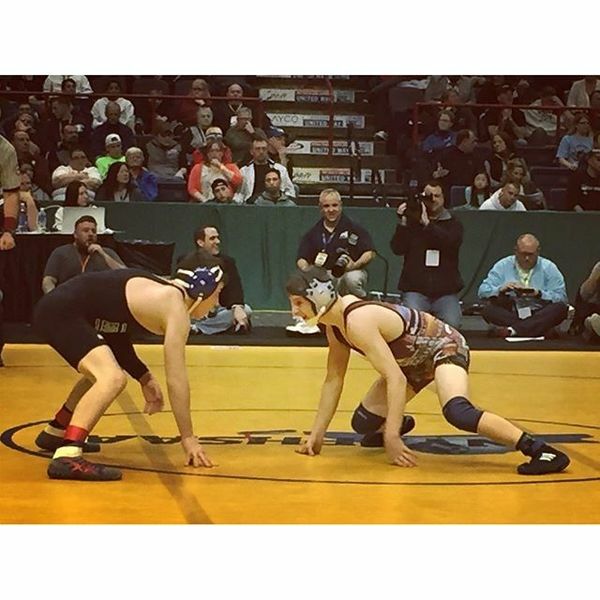 Ricky Stamm of Division comes up just short in the state final at 160, losing to AJ Aeberli of Minisink Valley. Marcus Bisono of Hauppauge falls in the state final at 170 pounds to Louie DePrez of Hilton 9-1. 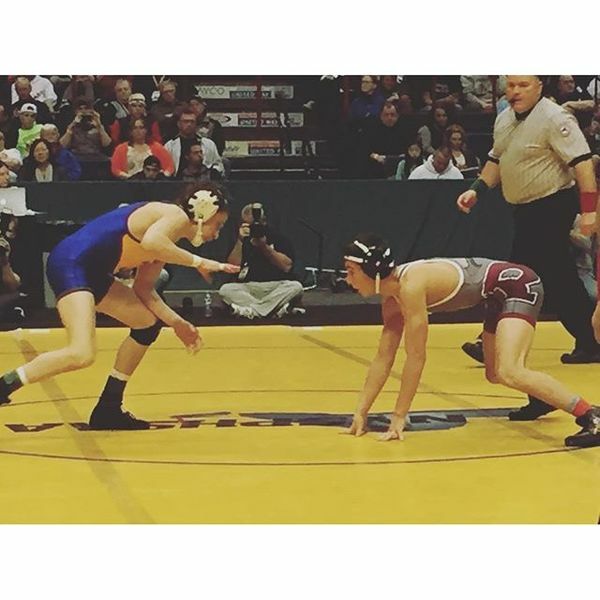 Christian Araneo of Ward Melville is a 2x state champ after his 3-1 win over Michael DiNardo of Mahopac at 195. Long Island gets two more state titles! Terron Robinson (Whitman) and Edwin Rubio (Glenn) win at 220 and 285! Freeport won the opening coin toss and has deferred. Floyd will receive. James Taitt with a 12-yard return for Floyd. Colonials start at the 23. Colonials go 3-and-out. Robert Taiani punts 35-yards out of bounds, away from speedy Rashad Tucker. Freeport starts at its own 34.